Hey, I am super excited to be a part of the Tottie team this year, so a little about me. I am Hannah, I am 22 years old and I am a mental health nurse. I have been riding since I could walk and find myself doing a mixture of everything from stressage to jumping to hacking. I have three lovely horses shared between my mum and sister. Sky is a 19 year old Irish sports horse, Sky is calm and gentle and lovely to ride (not mare-ish in the slightest, except when you change her rugs). Diva is a 9 year old thoroughbred the ultimate queen of sass, the most talented, gorgeous, stubborn and rewarding horse and finally Robbie 7 years old, the most laidback, gorgeous and cuddly boy who joined us in May 2017. 2) ALWAYS have more time then you planned when training (can guarantee you only have ten minutes to ride and you need an hour as you spend the first 10 minutes debating the session). 3) They definitely make you work for a cuddle and are very selective of who gets the privilege. 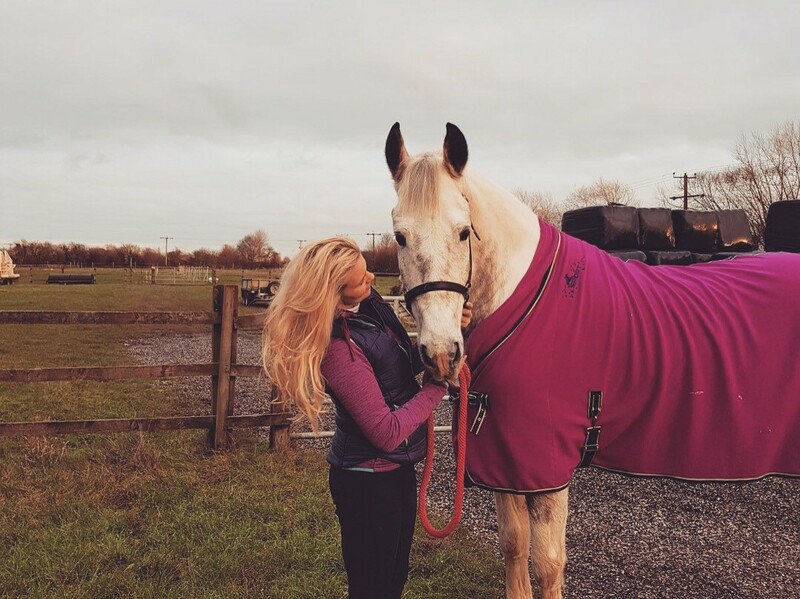 All Mares and geldings are different and these are the things I have learnt from my experience of my mare. I love the challenge of a feisty mare and for that reason mares win for me, however I love all three horses the same! So are you team mares or team geldings? I would love to hear.